Chicago is a city where there is always something to do at least as far as Arvid and I are concerned. The main reason we started coming to Chicago was for The Blues Festival. We have been coming for many years until we decided that this was where we wanted to spend our summers. With that in mind we bought an apartment a few years ago smack in the middle of all the action...and have never looked back. 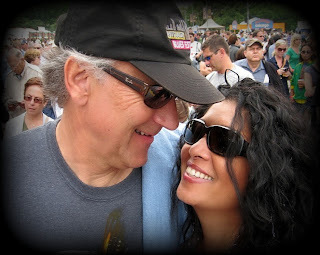 This year the Blues Festival will be held from June 10th to the 12th and what makes it even more special is that Arvid's brother and girlfriend will be here. This will be a weekend filled with music, beers, more music and lots of good food and company. With that in mind Arvid has already declared it a no phone weekend and a no work weekend. I'm not complaining. With the exception of a Pina Colada, I don't usually drink, but that never stops me from having a good time as well.